Paper Crafts by Candace: SVG Cutting Files Monthly Challenge: Summer Cards! SVG Cutting Files Monthly Challenge: Summer Cards! Hi Everyone! We have a new challenge over at SVG Cutting Files that starts today! 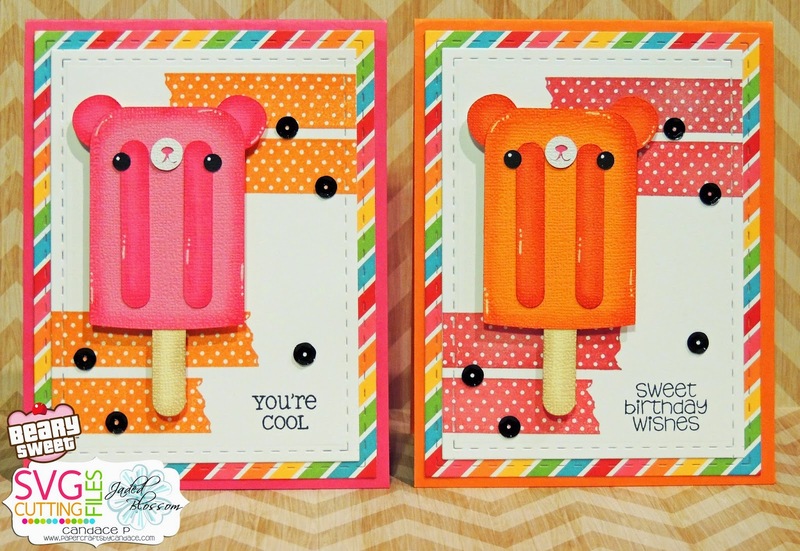 For my summer cards I used the new Beary Sweet Popsicle file. Isn't it sooo cute?!?! I also used Jaded Blossom's Card Mat Dies, Designer Tapes, and Sweet Birthday Wishes! Thanks so much for checking out my project today! Make sure to head over to SVG Cutting Files to see what the rest of the team created. Awesome cards:) Love the bright papers and the cute popsicles! So cute! Love the detail!